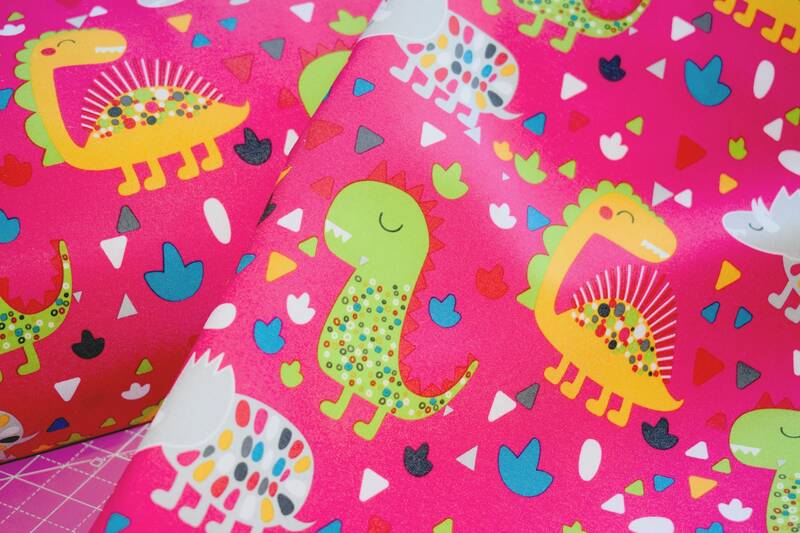 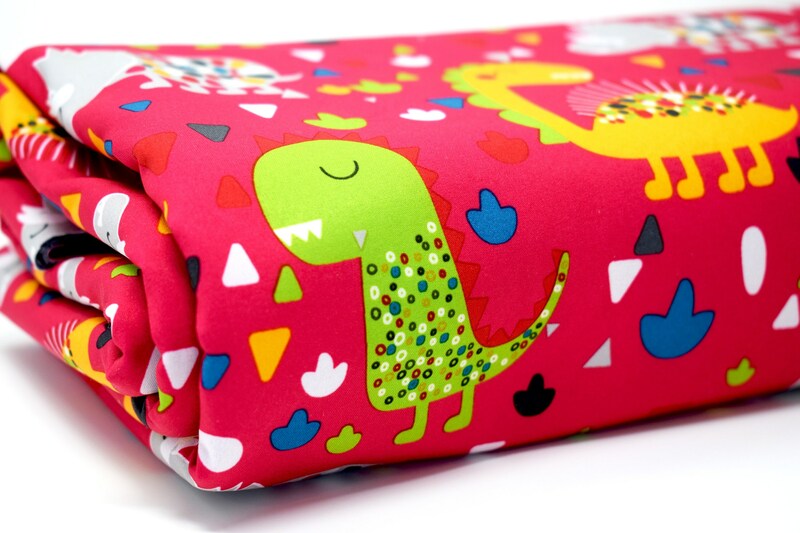 Hot pink Dinosaur double faced printed soft shell fabric. 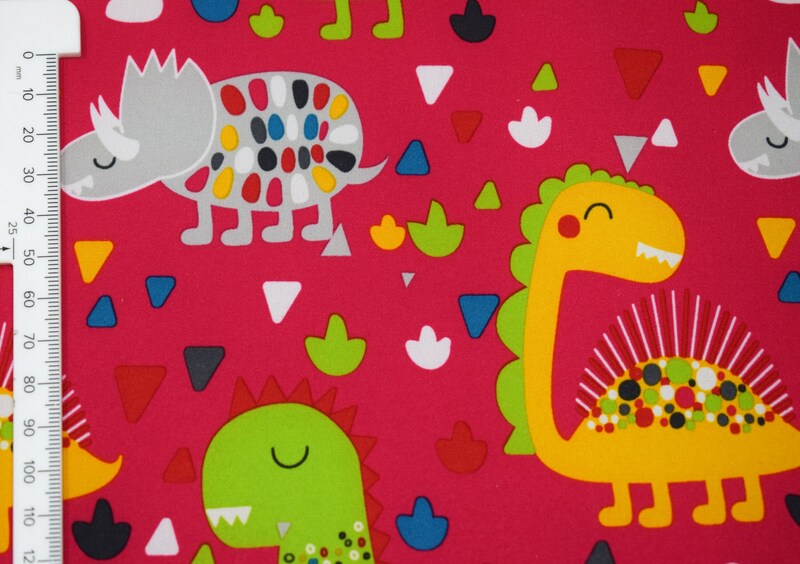 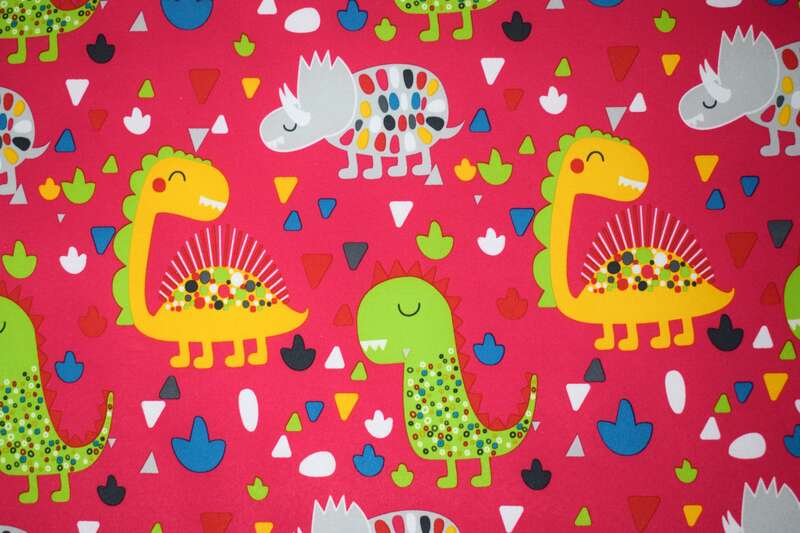 This fun and vibrant printed fabric is perfect for outerwear such as coats and puddle suits. 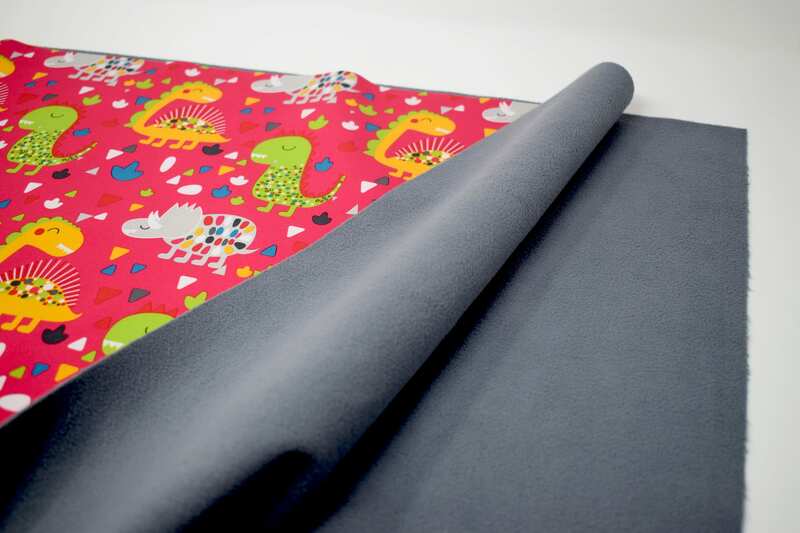 It has a printed waterproof side and a gorgeous soft fleece side in grey. 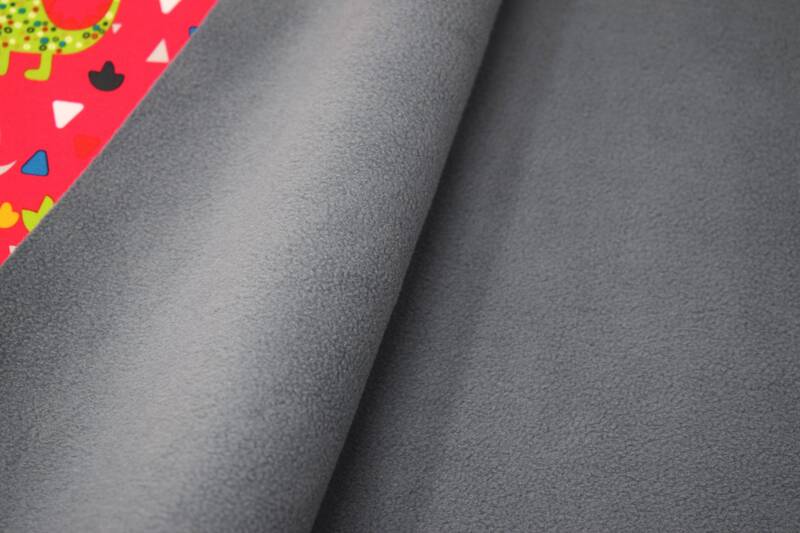 93% polyester, 3% spandex elastane. 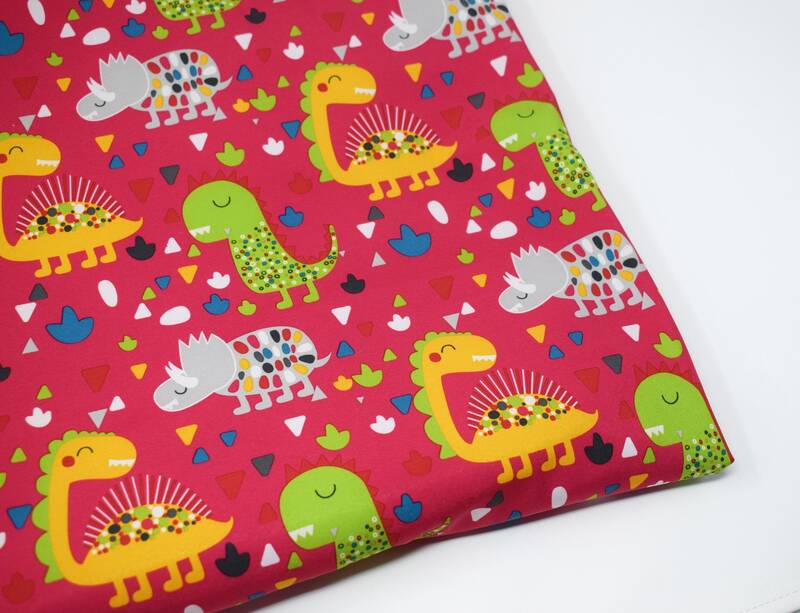 This elastane content means that the fabric will be lovely and comfortable to wear and will have great recovery so it will drape nicely (in comparison to a fabric without elastane content). 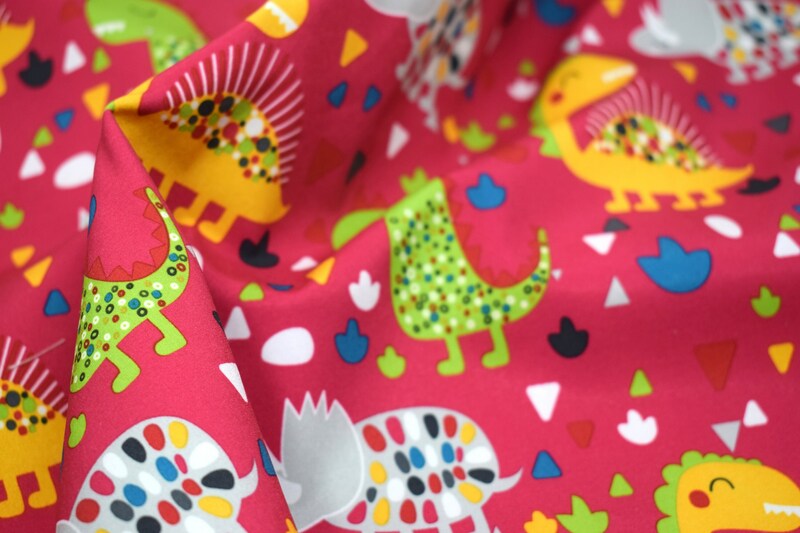 The fabric is approx 270 gsm making it lovely and warm for playing outside. 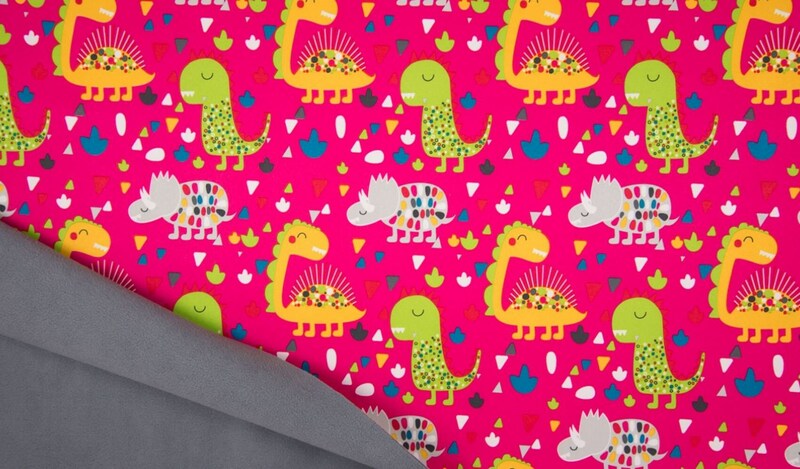 The soft shell fabric is approx 145cm wide. 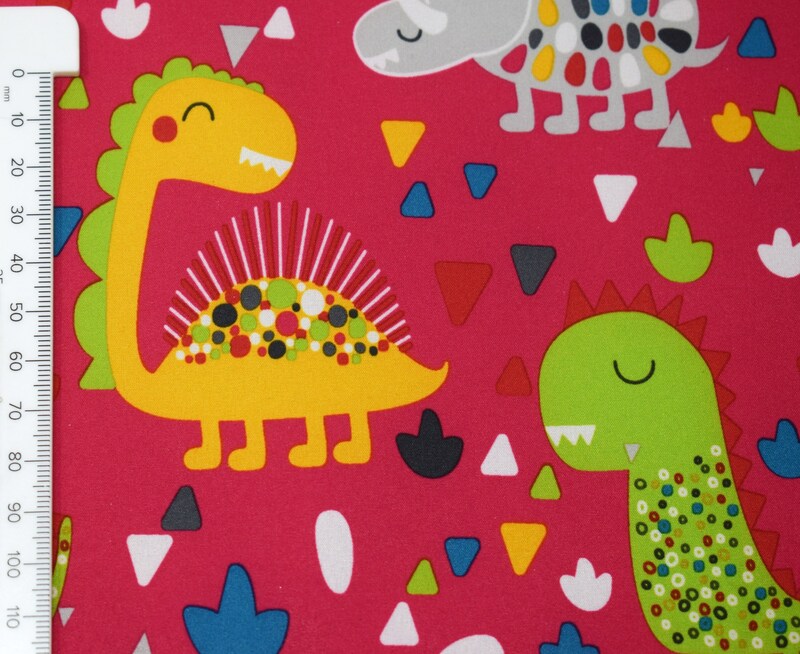 The tallest dinosaur is 9cm tall, the shortsest is 5cm tall.